Left over bananas? Want something a little different, try this, so delicious with coffee and homemade whipped cream! 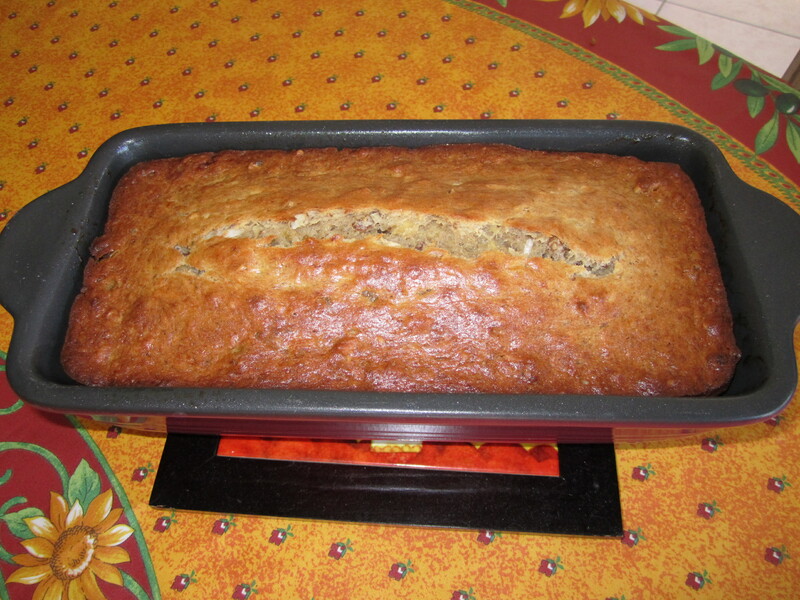 Preheat oven to 350 degrees, spray 9 x 5 x 3 inch loaf pan with flour/spray. Set aside. 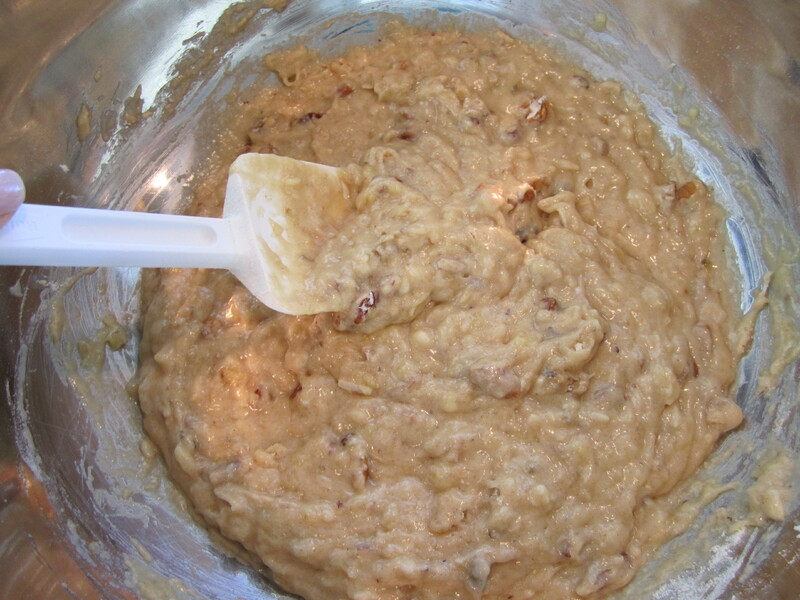 In large bowl combine flour, sugar, baking powder, baking soda, salt, cinnamon, nuts, coconut, and pineapple. Set aside. 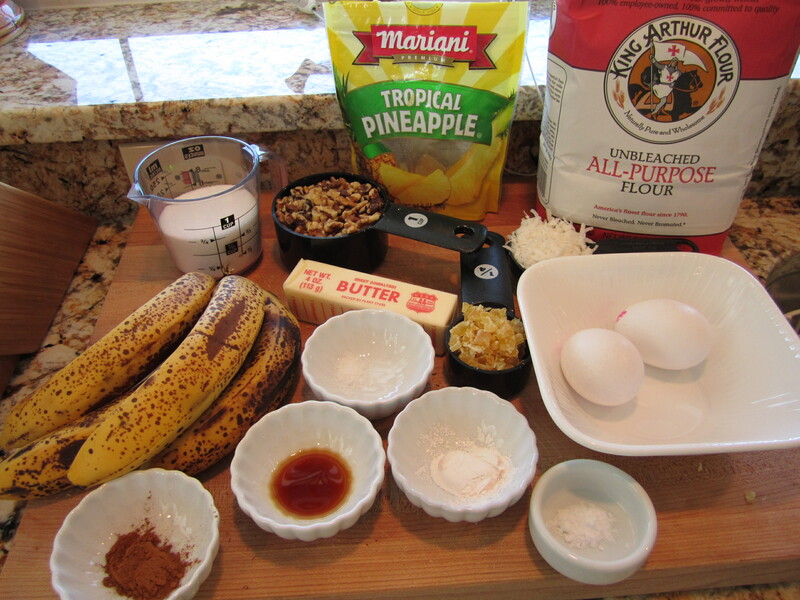 In medium bowl combine the mashed bananas, eggs, melted butter, and vanilla. With a rubber spatula or wooden spoon, lightly fold the wet ingredients into the dry ingredients just until combined. 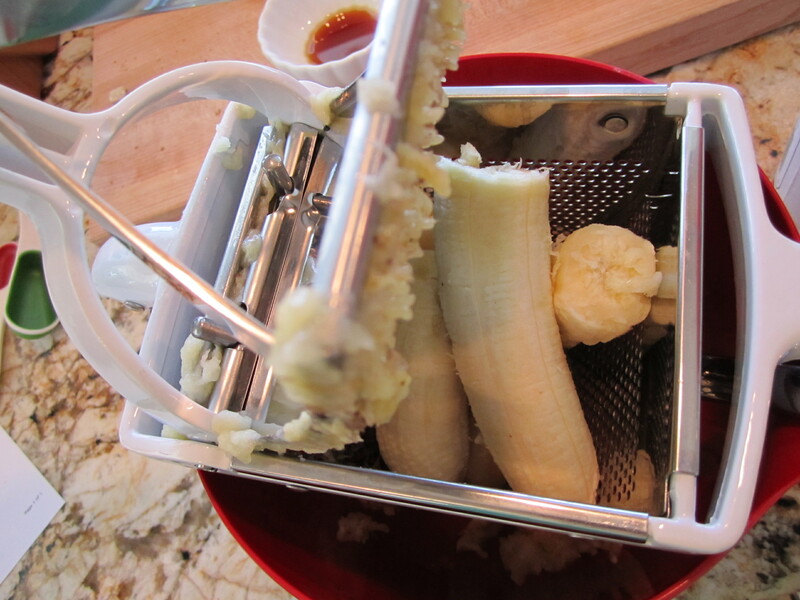 The batter should be thick and chunky. Do not over mix. 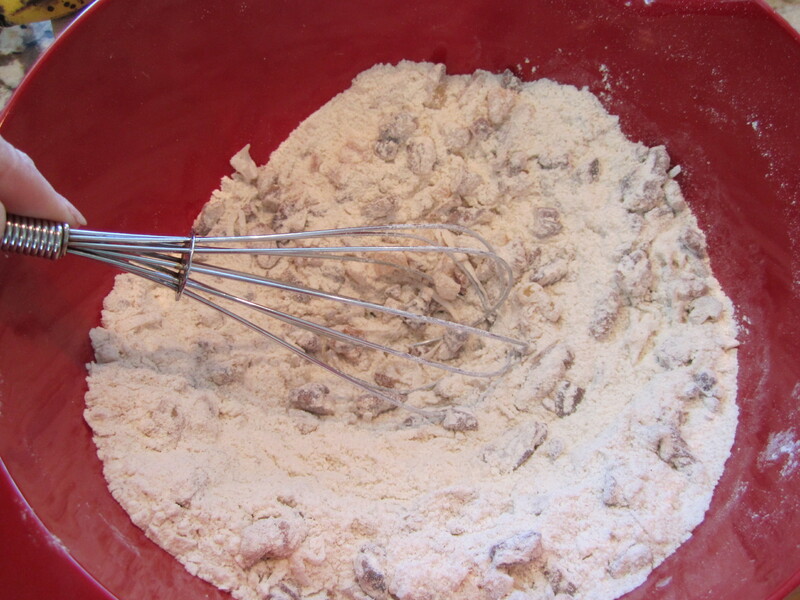 Scrape batter into prepared pan. Bake approximately 55 to 60 minutes. Place on wire rack to cool. Remove bread from pan, dust with powder sugar. Serve warm or at room temperature. Top with homemade (or store bought) whip cream. 4 oz. cream cheese, room temp. Whip cream until almost stiff. Add sugar, vanilla, and cream cheese; beat until cream holds peaks. Spread on top of bread, or pipe out of a pastry bag. 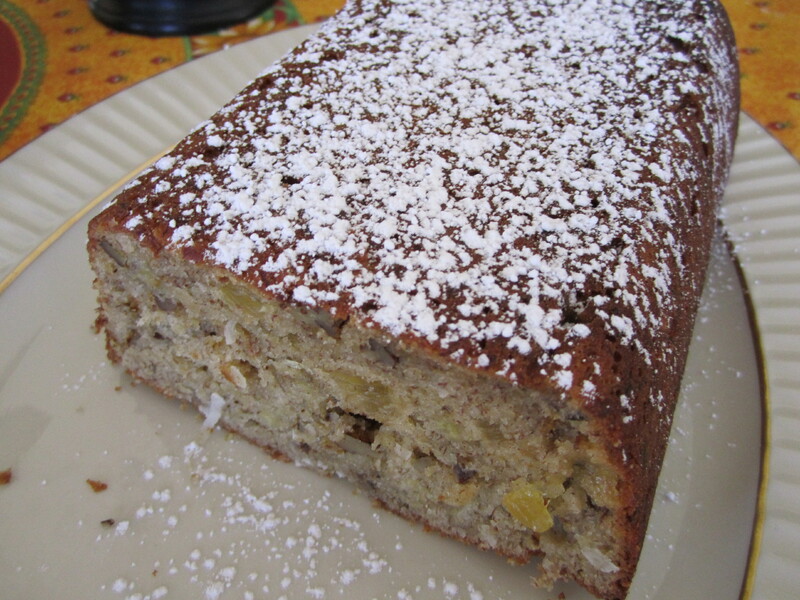 This entry was posted in Desserts and tagged Banana bread, COCONUT, coconut bread, dessert, PINEAPPLE, pineapple bread, recipe, recipes. Bookmark the permalink. that looks really yummy! I’m going to make it this weekend! your blog is so awesome! really! Mary, thanks so much! I am so glad you like it!! I made your Broccoli and Corn Casserole today, looks great. I’ll be adding it soon. See you tomorrow!